Myself and Ali Jones from Iriss set off on a cold January morning to celebrate the launch of Firestarter Festival 2019. Fire Starter Festival is a two-week festival of collaborative learning events, illuminating creative, disruptive and innovative ways in which we can all transform ourselves, our organisations and the wider system. The theme was ‘designing’ and we had been asked to come along to be ‘human exhibits’ as part of the launch at the V&A Dundee, which was very exciting. 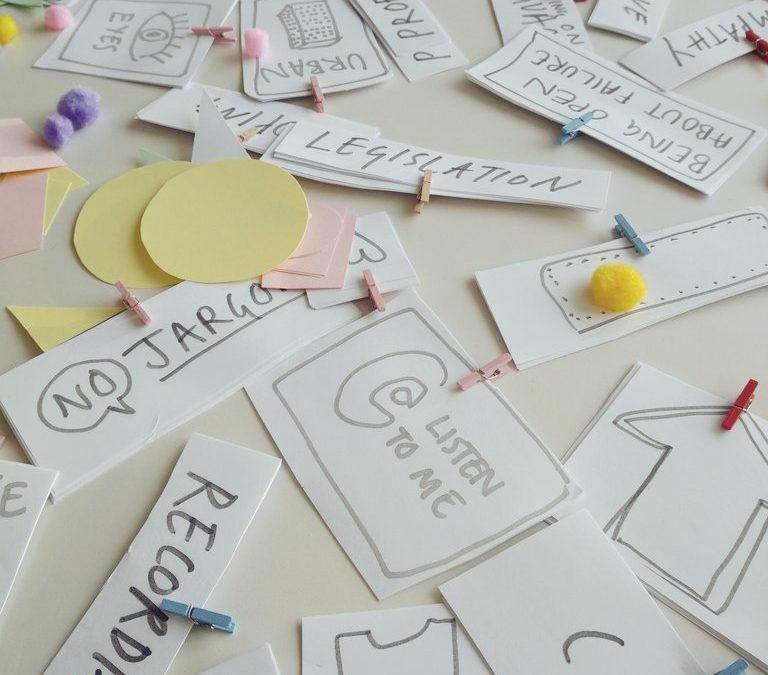 Iriss is often engaged in design processes which can be described as service design, communication design or even product design. We basically use design thinking as a tool and a methodology to improve outcomes. 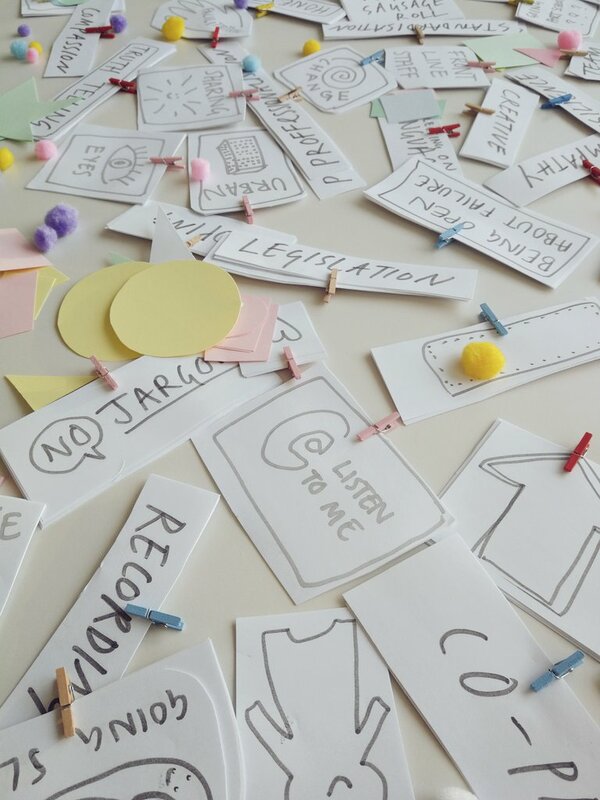 What is consistent across all Iriss design-focused projects is the values that underpin them – and this is what we wanted to get people to think about as part of our activity at the Firestarter launch. When participants did stumble across us we asked them to consider what values they embrace when they put on their ‘design thinking hats’. We gave them a range of keywords and values to work with, and encouraged them to add their own. 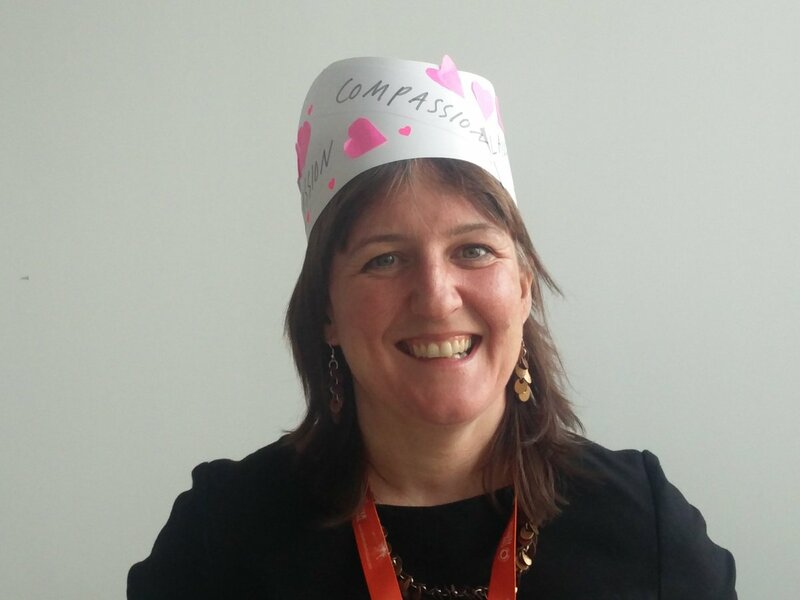 While at first people where a little reluctant to commit to wearing a colourful paper hat, in no time we had people queuing up to explore our values, pom poms and sticky dots! Over the course of the activity we had some fantastic conversations about what it means to design, and what values we focus on for different projects. Maree Todd, the Minister for children and Young People fully embraced the activity. Not only did she make a very glamorous hat, but she also wore it throughout her keynote listening speech! The event provided an opportunity for critical reflection about what underpins our design approaches. We are always interested to move beyond whether solutions look great to identifying the real value of different methodologies and approaches. How we can put people who use Scotland’s social services at the heart of all of the decisions that affect the services that they use? 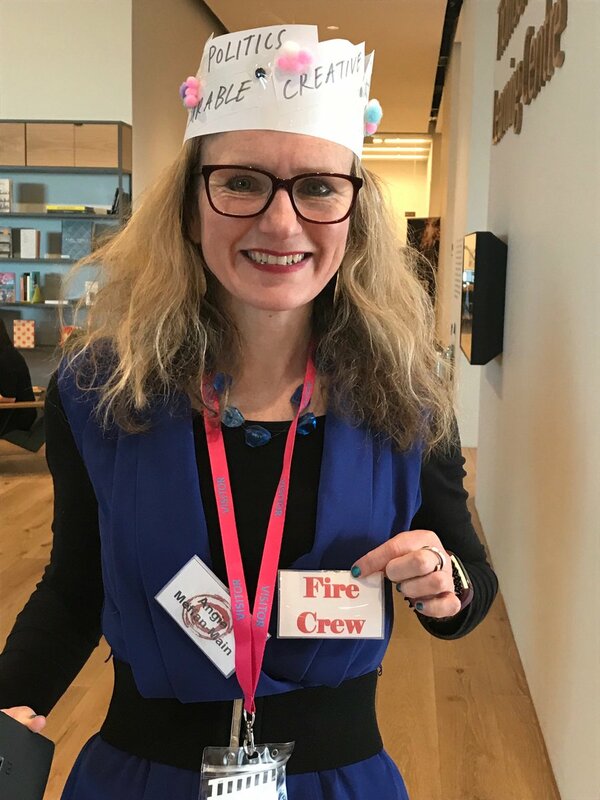 Thanks to everyone who came along to the Firestarter 2019 launch and engaged with the ‘human exhibits’! Learn more about Firestarter here, and read about their previous festivals in their beautiful report.